Corey is serving a life sentence for a non-violent drug offense - his first ever felony conviction. Three of five co-defendants testified against Corey in exchange for reduced sentences of their own. These co-defendants were each released from prison after serving a little over 10 years. On August 27, 1993, Corey and five others were indicted by a federal grand jury on drug charges related to a non-violent drug conspiracy said to have occurred beginning in the summer of 1988 and ending in the fall of 1993. Corey was sentenced on May 22, 2000 in the Eastern District of Virginia to 16 concurrent life sentences for his role in conspiracy. His involvement in the conspiracy occurred when he was just in his early twenties. Facing financial difficulties after moving from New York to Virginia for college, a very young Corey became involved with a small group of friends in an ongoing conspiracy to distribute crack cocaine. The instant case was Corey’s first ever felony conviction. Prior misdemeanor convictions counted against Corey in no way relate to any involvement in drugs, but solely relate to failure to appear in court on a minor traffic violation. Corey was by no stretch a drug kingpin and absolutely no aspect of the conspiracy was violent. During the trial, the federal government presented no evidence that law enforcement ever found Corey to be in possession of any drugs, weapons, or large sums of money. Furthermore, the federal government did not present any evidence (1) of any video or audio surveillance capturing Corey’s involvement in any drug activity or (2) that Corey participated in any confidential drug informant buys. 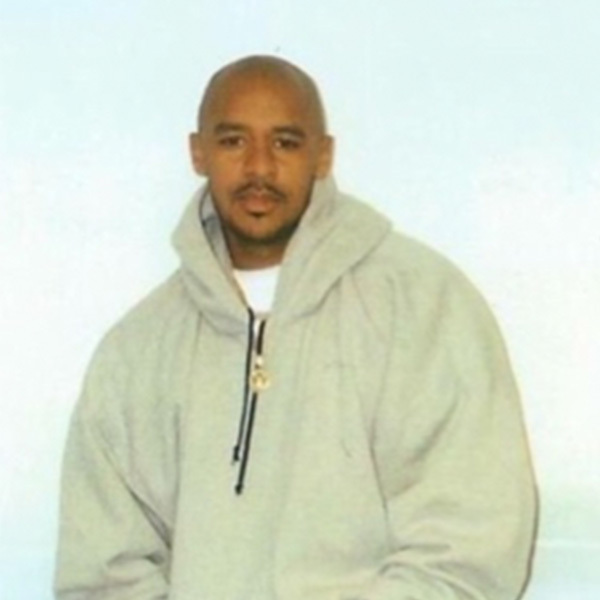 Even with a lack of physical evidence, Corey was sentenced to multiple life sentences based primarily on the self-serving testimony of co-defendants, who testified against him in exchange for reduced sentences of their own. These co-defendants were each released from prison after serving a little over 10 years. Federal sentencing guidelines were mandatory when Corey went to trial, meaning the judge had no choice but to send Corey to prison for the rest of his life. Sadly, there is no parole in the federal system so Corey has been fundamentally sentence to death for a non-violent drug conspiracy – his first ever felony conviction. If convicted of these same offenses today, Corey would definitely receive a lesser sentence. Corey’s sentencing judge supports his request for clemency from the President and attests that he would not have imposed a life sentence on Corey even under current federal laws. Federal laws have changed drastically since Corey was sentenced. For example, today federal sentencing guidelines are no longer mandatory and judges have discretion to impose sentences below the guidelines. Also, the total drug quantity attributed to Corey was determined by the judge and not found by a jury beyond a reasonable doubt. Today this would be a direct violation of Corey’s constitutional rights. These new laws are not retroactive, and therefore, offer no relief for Corey. For nearly 25 years, Congress required federal courts to impose severe mandatory minimum sentences on crack cocaine offenders – mostly racial minorities – based on assumptions about crack cocaine now universally recognized to be unfounded. Crack cocaine is without a doubt a terrible societal problem. However, the involvement in drugs by a non-violent offender should not constitute a life sentence in prison without the possibility of parole. Corey has been sentenced to life in prison with no possibility of parole as a non-violent drug offender under a sentencing scheme that has since been publicly denounced by members of Congress. Congress acknowledged the error by enacting the Fair Sentencing Act of 2010 (FSA). Congress’ stated goal in enacting the FSA was “to restore fairness to federal cocaine sentencing.” The passage of the FSA was the culmination of over 15 years of discussion and policy debate over the harsh crack penalties in the Anti‑Drug Abuse Act of 1986. The FSA was enacted because it became clear that there was no evidentiary basis for the disparity in sentencing between offenses involving powder cocaine and crack cocaine and to remedy the racially discriminatory impact of the ratio. The United States Sentencing Commission has determined that the federal sentencing guidelines used to sentence Corey were flawed. This determination is evidenced by not one, but many guideline adjustments within recent years in the realm of crack cocaine federal sentencing that drastically reduce sentences for crack cocaine offenses. Unfortunately, Corey’s case has been beyond reach of these reform efforts. These paramount developments tell us one thing – the crack cocaine penalties under which Corey was sentenced were unjust.